To ensure a wellness program is compliant with the ACA, GINA and the EEOC, let’s first understand what each one of these institutions are. The Affordable Care Act (ACA) is a comprehensive healthcare reform law enacted in March 2010 during the Obama presidency. It has three primary goals: to make health insurance available to more people, to expand the Medicaid program, and to support innovative medical care delivery methods to lower the cost of healthcare overall.1 The ACA carries provisions that support the development of wellness programs and determines all rules around them. The Genetic Information Nondiscrimination Act of 2008 (GINA) is a federal law that protects individuals from genetic discrimination in health insurance and employment. GINA relates to wellness programs in different ways, but it particularly relates to the gathering of genetic information via a health risk assessment. The U.S. Equal Employment Opportunity Commission (EEOC) is a federal agency that administers and enforces civil rights laws against workplace discrimination. In 2017, the EEOC issued a final rule to amend the regulations implementing Title II of GINA as they relate to employer-sponsored wellness program. This rule addresses the extent to which an employer may offer incentives to employees and spouses. Here is some advice to ensure your wellness program is compliant with multiple guidelines. Make sure your wellness program is “reasonably designed” and voluntary – This means that your program’s main goal should be to promote health and prevent disease for all equally. Additionally, it should not be burdensome for individuals to participate or receive the incentive. This means you must offer reasonable alternatives for qualifying for the incentive, especially for individuals whose medical conditions make it unreasonably difficult to meet specific health-related standards. 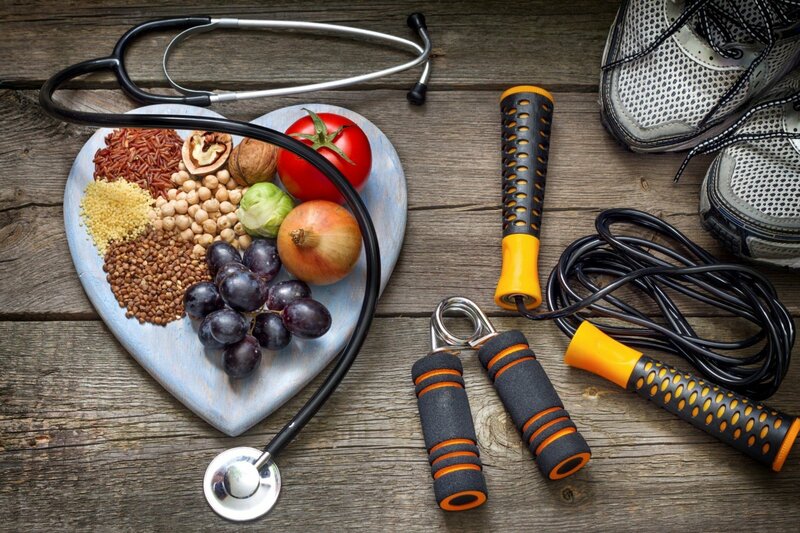 I always recommend wellness programs be as simple as possible, and before making a change or decision in the wellness program, identify all difficult or unfair situations that might arise from this change, and then run them by your company’s legal counsel and modify the program accordingly before implementing it. An example of a wellness program that is NOT reasonably designed is a program offering a health risk assessment and biometric screening without providing results or follow-up information and advice. A wellness program is also NOT reasonably designed if exists merely to shift costs from an employer to employees based on their health. Do the math! – Recent rules implemented changes in the ACA that increased the maximum permissible wellness program reward from 20 percent to 30 percent of the cost of self-only health coverage (50 percent if the program includes tobacco cessation). Although the final rules are not clear on incentives for spouses, it is expected that, for wellness programs that apply to employees and their spouses, the maximum incentive for either the employee or spouse will be 30 percent of the total cost of self-only coverage. In case an employer offers more than one group health plan but participation in a wellness program is open to all employees regardless of whether they are enrolled in a plan, the employer may offer a maximum incentive of 30 percent of the lowest cost major medical self-only plan it offers. As an example, if a single plan costs $4,000, the maximum incentive would be $1,200. Provide a notice to all eligible to participate in your wellness program – The EEOC made it easy for everyone and posted a sample notice online at https://www.eeoc.gov/laws/regulations/ada-wellness-notice.cfm. Your notice should include information on the incentive amount you are offering for different programs, how you maintain privacy and security of all protected health information (PHI) as well as who to contact if participants have question or concerns. If using a HRA (health risk assessment), do not include family medical history questions – The EEOC final rule, which expands on GINA’s rules, makes it clear that “an employer is permitted to request information about the current or past health status of an employee's spouse who is completing a HRA on a voluntary basis, as long as the employer follows GINA rules about requesting genetic information when offering health or genetic services. These rules include requirements that the spouse provide prior, knowing, written, and voluntary authorization for the employer to collect genetic information, just as the employee must do, and that inducements in exchange for this information are limited.”2 Due to the complexity and “gray areas” this item can reach, my recommendation is to keep it simple and to leave genetic services and genetic counseling out of a comprehensive wellness program. WellSteps, a nationwide wellness provider, has a useful tool that everyone can use. Their “wellness compliance checker” should not substituted for qualified legal advice, but can be useful for a high level check on how compliant your wellness program is. You can access it at https://www.wellsteps.com/resources/tools. I often stress the need for all wellness programs to build a strong foundation, which starts with the company’s and leaders’ messages. Your company should launch a wellness program because you value and care about your employees’ (and their families’) health and well-being. Everything you do and say should reflect this philosophy. While I always recommend companies to carefully review all regulations around wellness, I do believe that if your wellness program has a strong foundation based on your corporate social responsibility and your passion for building a healthy workplace, you most likely will be within the walls of all these rules. At the end, a workplace that does wellness the right way has employees who are not motivated by financial incentives, but by their intrinsic motivation to be the best they can be as well as their acceptance that we all must be responsible for our own health, and that all corporations should be responsible for providing the best environment and opportunities for employees to do so.